Did you know that Israel allots 85% of the water resources for Jews, and the remaining 15% is divided among all Palestinians in the territories? For example in Hebron, 85% of the water is set aside for about 400 Jewish settlers, while the remaining 15% is distributed among Hebron's 120, 000 Palestinians? Did you know that the United States awards Israel $5 billion in aid each year from American tax dollars? Did you know that US aid to Israel ($1.8 billion annually in military aid alone) exceeds the aid the US grants to the entire African continent? This aid is used both to buy American weaponry and to buy arms made in Israel. Did you know that Israel is awaiting an additional $4 billion worth of American military hardware, including new F-16s and Apache and Blackhawk helicopters. As Israel's main ally and supporter internationally, the United States is committed to maintaining the Jewish state's "qualitative edge" in weapons over its neighbours. Did you know that Israel is the only country in the Middle East that refuses to sign the nuclear non-proliferation treaty and bars international inspections from its sites? Did you know that Israel stands in defiance of 69 United Nations Security Council Resolutions? Did you know that Israel's current Prime Minister, Ariel Sharon, was found by an Israeli court to be "personally and directly responsible" for the Sabra and Shatilla massacre in Lebanon where more than a thousand innocent Palestinian men, women, and children were axed to death or lined up and shot in cold blood? Did you know that on May 20, 1990, a group of unarmed Palestinian labourers were lined up and murdered by an Israeli solider as they sat waiting for transportation back to Gaza? The terrified labourers who gathered in an area of southern Israel known as Rishon Lezion (known to Palestinians by its Arabic name Oyon Qara) handed their ID cards to the Israeli soldier. The soldiers ordered the distressed labourers to kneel down and face the ground and unexpectedly showered them with a barrage of bullets, killing seven and wounding many others. Needless to say, the soldier was not charged with any crime. Did you know that until as recently as 1988, Israelis were permitted to run "Jews Only" job ads? Did you know that the Israeli Foreign Ministry pays six US public relations firms to promote a "positive image" of Israel to the American public? Did you know that Sharon's coalition government includes a party--Molodet--which advocates ethnic cleansing by openly calling for the forced expulsion of all Palestinians from the occupied territories? Did you know that recently-declassified documents indicate that David Ben-Gurion approved of the forced expulsion of Arabs from all Palestinian territory in 1948? Did you know that the former chief rabbi of Israel, Rabbi Ovadia Yossef, who is also a founder and spiritual leader of the religious Shas party (Israel's third largest political party) openly advocates a 'Final Solution' to annihilate the Palestinians? Speaking at the widely broadcast sermon marking the last Passover, he declared of the Palestinians: "The Lord shall return their deeds on their own heads, waste their seed and exterminate them, devastate them and vanish them from this world. It is forbidden to be merciful to them. You must send missiles to them and annihilate them. They are evil and damnable." Did you know that Palestinian refugees make up the largest portion of the refugee population in the world? Did you know that Palestinian Christians are considered the "living stones" of Christianity because they are the direct descendants of the disciples of Jesus Christ? And the Palestinian Christians stand united with their Muslim brethren in the struggle against the Israeli occupation. Did you know that despite a ban on torture by Israel's High Court of Justice, torture has continued unabated by Shin Bet interrogators on Palestinian prisoners? Did you know that despite every Israeli attempt to disrupt Palestinian education, Palestinians have the highest ratio of PhDs per capita in the world? Did you know that the right of self-determination is guaranteed to every human being under the Universal Declaration of Human Rights [December, 1948], yet Palestinians were/are expected to negotiate for this right under the Oslo Accords? Did you know that despite what is widely perpetuated and written in the history books that the Arabs attacked Israel in the 1967 war, it was Israel who attacked the Arab countries first, capturing Jerusalem and the West Bank, and called the attack a pre-emptive strike? Did you know that, as an occupying power, Israel has a particular responsibility under the Geneva Conventions to protect Palestinian civilians? Did you know that, despite Ariel Sharon's public call for a unilateral ceasefire, Israeli soldiers have not stopped shooting, killing or bulldozing Palestinian homes? The most recent example of this is the murder of three innocent women who were shot by an Israeli tank as they sat in their tent! Did you know that the Zionists have been trying to destroy Masjid al-Aqsa and the Dome of the Rock for the last 50 years by digging underground tunnels beneath the sites to weaken its foundation causing it to collapse? Question: Which country alone in the Middle East has nuclear weapons? Question: Which country in the Middle East refuses to sign the nuclear non-proliferation treaty and bars international inspections? ? Question: Which country in the Middle East seized the sovereign territory of other nations by military force and continues to occupy it in defiance of United Nations Security Council resolutions? Question: Which country in the Middle East routinely violates the international borders of another sovereign state with warplanes and artillery and naval gunfire? Question: What American ally in the Middle East has for years sent assassins into other countries to kill its political enemies (a practice sometimes called exporting terrorism)? Question: In which country in the Middle East have high-ranking military officers admitted publicly that unarmed prisoners of war were executed? Question: What country in the Middle East refuses to prosecute its soldiers who have acknowledged executing prisoners of war? Question: What country in the Middle East created millions of refugees and refuses to allow them to return to their homes, farms and businesses? Question: What country in the Middle East refuses to pay compensation to people whose land, bank accounts and businesses it confiscated? Question: In what country in the Middle East was a high-ranking United Nations diplomat assassinated? Question: In what country in the Middle East did the man who ordered the assassination of a high-ranking U.N. diplomat become prime minister? Question: What country in the Middle East blew up an American diplomatic facility in Egypt and attacked a U.S. ship, the USS Liberty, in international waters, killing 34 and wounding 171 American sailors? Question: What country in the Middle East employed a spy, Jonathan Pollard, to steal classified documents from USA and then gave some of them to the Soviet Union ? Question: What country at first denied any official connection to Pollard, then voted to make him a citizen and has continuously demanded that the American president grant Pollard a full pardon? Question: What Middle East country allows American Jewish murderers to flee to its country to escape punishment in the United States and refuses to extradite them once in their custody? Question: What Middle East country preaches against hate yet builds a shrine and a memorial for a murderer who killed 29 Palestinians while they prayed in their Mosque.? Question: What country on Planet Earth has the second most powerful lobby in the United States , according to a recent Fortune magazine survey of Washington insiders? Question: Which country in the Middle East deliberately targeted a civilian U.N. Refugee Camp in Qana , Lebanon and killed 103 innocent men, women, and especially children? Question: Which country in the Middle East is in defiance of 69 United Nations Security Council resolutions and has been protected from 29 more by U.S. vetoes? Question: Which country in the Middle East receives more than one-third of all U.S. aid to the world yet is the 16th richest country in the world? Question: Which country in the Middle East receives U.S. weapons for free and then sells the technology to the Republic of China even at the objections of the U.S. ? Question: Which country in the Middle East routinely insults the American people by having its Prime Minister address the United States Congress and lecturing them like children on why they have no right to reduce foreign aid? Question: Which country in the Middle East had its Prime Minister announce to his staff not to worry about what the United States says because "We control America ?" Question: What country in the Middle East was cited by Amnesty International for demolishing more than 4000 innocent Palestinian homes as a means of ethnic cleansing? Question: Which country in the Middle East has just recently used a weapon of mass destruction, a one-ton smart bomb, dropping it in the center of a highly populated area killing 15 civilians including 9 children? Question: Which country in the Middle East routinely kills young Palestinian children for no reason other than throwing stones at armored vehicles, bulldozers, or tanks? Question: Which country in the Middle East signed the Oslo Accords promising to halt any new Jewish Settlement construction, but instead, has built more than 270 new settlements since the signing? Question: Which country in the Middle East has assassinated more than 100 political officials of its opponent in the last 2 years while killing hundreds of civilians in the process, including dozens of children? Question: Which country in the Middle East regularly violates the Geneva Convention by imposing collective punishment on entire towns, villages, and camps, for the acts of a few, and even goes as far as demolishing entire villages while people are still in their homes? Question: Which country in the Middle East refused to give a dollar as a sign of respect to Rachel Corrie's parents for killing her in cold blood? 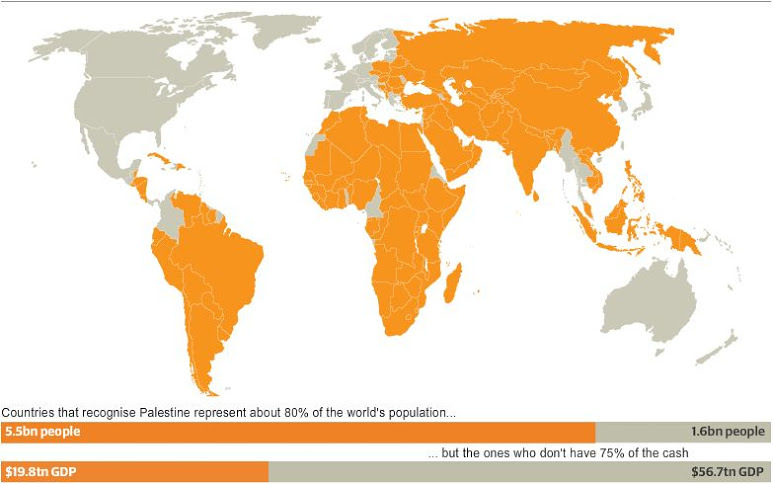 List of countries That recognise Palestine as an independent state. Afghanistan, Albania, Algeria, Angola, Argentina, Azerbaijan, Bahrain, Bangladesh, Belarus, Benin, Bhutan, Bolivia, Bosnia and Herzegovina, Botswana, Brazil, Brunei, Bulgaria, Burkina Faso, Burundi, Cambodia, Cape Verde, Central Africa, Chad, Chile, China, Comoros, Congo, Costa Rica, Ivory Coast, Cuba, Cyprus, Czech, Djibouti, Dominicans, Ecuador, Egypt, El Salvador, Ethiopia, Equatorial Guinea, Gabon, Gambia, Georgia, Ghana, Guinea, Guinea Bissau, French Guiana, Honduras, Hungary, Iceland, India, Indonesia, Iran, Iraq, Jordan, Kazakhstan, Kenya, North Korea, Kuwait, Kyrgyzstan, Mali, Malta, auritania, Malaysia, Mauritius, Mongolia, Montenegro, Morocco, Mozambique, Namibia, Nepal, Nicaragua, Niger,Nigeria , Oman,Pakistan ,Papua New Guinea, Paraguay, Peru, Philippines, Poland, Qatar, Romania, Russia, Rwanda, São Tomé and Príncipe, Saudi Arabia, Senegal, Serbia, Seychelles, Sierra Leone, Slovakia, Somalia, South Africa, Sri Lanka, Sudan, Surinam,Swaziland , Syria, Tajikistan, Tanzania, Togo, Tunisia, East Timor, Turkey, Turkmenistan, Uganda, Ukraine, Arab Emirates, Uruguay, Uzbekistan, Vanuatu, Venezuela, Vietnam, Yemen, Zambia, Zimbabwe. For my Palestinian brothers and sisters who stood there and never gave up, for my brothers in the resistance who bled for this land and for the unborn Palestinian children who will follow their example. Peace be to you! 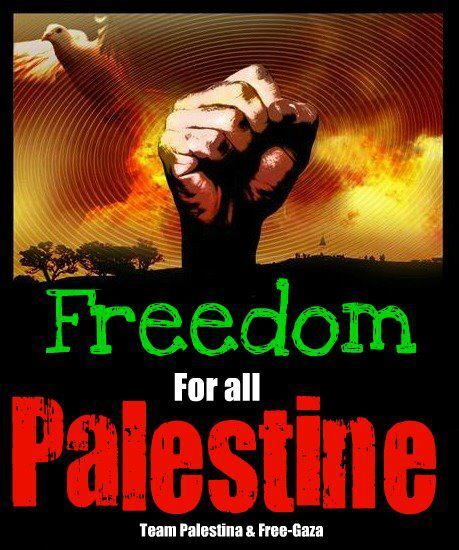 Justice and freedom for Palestine! Decolonization was a feature of post-World War II era and the surrender of Nazi Germany. The UN Charter was created; the Arab League was formed in 1945 by seven countries; twenty-nine non-aligned countries from Africa and Asia formed the non-aligned Bandung Conference in Indonesia in 1955. Due to decolonization, Arab League state members today are twenty-three; there are 120 Non-Aligned nations; and United Nations member states jumped from 51 in 1945 to 194. But there seems no light at the end of the dark tunnels through which the Palestinians have been moving virtually throughout the twentieth century and into the twenty-first. Generations of the Palestinian people have been struggling for their national freedom, but there is no hope they will achieve liberty and justice if they do not change course soon. For course correction, there should be an internal debate of a kind for which the history of modern states that won independence offers innumerable precedents that can be emulated. Ironically, the Palestinians who constituted 92% of the population and owned 94% of Palestinian cultivated lands in 1920 were one of the first people in the world fighting colonialism. They were demanding their freedom and self-determination at the same time when Gandhi, the leader of India’s National Congress, was leading the non-violent struggle for the subcontinent’s freedom. India, the largest democracy in the world today, achieved independence in 1947. The Palestinians rebelled against the British and the Zionists years before the 1952-1960 Kenya’s Mau Mau up-rising against the British colonial rule that was followed by Kenya African National Union struggle under the leadership of Jomo Kenyatta. The Kenyans achieved independence in 1964. For hundreds of years, Arab Palestinians lived peacefully with the old Jewish community, descendents of the Spanish and Portuguese Inquisition. The political conflict started only when waves of Jewish immigrants came from Russia in 1903-05 and thereafter. They were mostly militant Zionists with radical nationalist ideas backed by international Zionist financial and political institutions. Their ideology reflected on their hostile attitude toward the Arab Palestinians. Britain and France, victors of World War I, redrew the map of the Arab lands and declared their public support for the Zionist’s colonial project by granting the Jews a homeland in Palestine. Britain was given a Mandate over Palestine by the League of Nations to shepherd the natives toward the goal of governing themselves and eventually achieve complete independence. But after issuing Balfour Declaration, Britain created more antagonism between Arab Palestinians and colonialist Jews. During a 1921 visit to Palestine by Winston Churchill, the British Secretary of States for the Colonies, Palestinians protested in the major towns against the British Mandate and Balfour Declaration. The protesters shouted anti-British and anti-Zionist slogans, there was stone-throwing in the streets and some Jewish establishments were attacked. Arab Palestinians response to the British policies and Jewish immigration was strikes, demonstrations and sometimes violence. Serious quarrel erupted between them and Jewish settlers in 1929 over access to the ‘Western Wall’ in Jerusalem, referred to by Muslim Palestinians as the ‘Buraq.’ Angry crowds were formed in the streets of cities with mixed Arabs and Jews population, Arab merchants shut their shops and religious and nationalist banners were brandished. During the confrontation, 133 Jews and more than hundred Arabs were killed. In the first sixteen years of the British Mandate, Jewish immigrants flooded into Palestine, increasing their population from 61,000 to 385,000. After the Palestinians could not take it anymore, they turned to strikes and armed struggle against the British and Jewish colonialists. A six-month general strike was followed by a spontaneous bloody uprising that developed into a full-scale rebellion triggered by killing some Arabs living near the Jewish settlement of Peta Tikvah on April 15, 1936. After being criticized for their apathy, traditional leaders joined the militants and established the Arab Higher Committee (AHC) as a national organization to coordinate the resistance with Haj Amin al-Husseini, Grand Mufti of Jerusalem (Interpreter of Islamic laws), as its president. Haj Amin tried to undermine his traditional political opponents in Palestine, the Nashashibi clan. Many prominent members and local supporters of the Nashashibi National Defense Party were murdered or terrorized into leaving Palestine. The victims included mayors, members of municipal councils, village leaders (mukhtar) and educators. The Nashashibi clan and their supporters opposed the revolt at the risk of being accused by the Husseinis of aligning themselves with the British. The families’ rivalry rendered the Palestinians’ struggle against the British and the Zionist project ineffective and prevented them from creating defense and civil national institutions in anticipation of their future state when the British Mandate would be terminated. In 1938, Britain decided to use its military superiority to ‘re-conquer Palestine.’ Emergency was declared, military courts were established and heavy handed methods were used to eventually restore order and crush the rebellion. In the meantime, the Mandate authority added thousands of Jewish recruits to the Police force. When the revolt was crushed, there were significant human and economic losses among the Arab Palestinians and no concessions from the British. The Arab Palestinians’ economy was devastated, more than 5,000 killed or executed by the British, 14,000 wounded, 5,679 detained, many leaders were exiled, and the hope of independence was dashed. Britain finally decided to end the Mandate and turn the issue of Palestine over to the United Nations General Assembly (UNGA). The UNGA passed Resolution 181 on November 29, 1947 recommending Partitioning Palestine into two states, a Jewish on 55.5 % and an Arab state on 43%, and international regime for Jerusalem area on 1.5% of the mandated territory. Arabs would lose control of the rich coastal plain that produced the citrus fruit, their most valuable exports, and also lose the interior fertile plains. David Ben-Gurion accepted the Resolution on behalf of the Jews, but Arabs overwhelmingly rejected its provision that gave the Jews more than half their country even though the Jews owned only 5.8% of the land. The US led the fight for approving the 181 Resolution. The Balfour Declaration and the Partition Resolution laid the groundwork for Middle East tensions that have endured to this day. These political decisions imposed by outsiders denied the Palestinians their right of self-determination. There was no referendum or plebiscite by the legitimate residents on either decision. The immediate effects of the partition were dramatic. The two communities did not acknowledge the existence of each other and fighting immediately broke up. When the Mandate was terminated on May 14, 1948, a provisional government of the State of Israel was proclaimed, Ben-Gurion read the ‘Declaration of Independence’ and the Soviet Union and the US recognized it immediately. Arab forces from Egypt, Syria, Lebanon, Jordan and Iraq entered to protect the Arab Palestinians, but the Arab states military forces combined were not a match for Israel’s military that had more soldiers in the field, well-trained and familiar with the terrain. The Jewish military took over the area assigned to the Jews by the Partition Resolution and large strategic parts of the Arab-allotted territory as well as areas earmarked for international control. In the 1947-49 war, the Arab’s effort was aimed at blocking partition and protecting the Arab Palestinian population, but during spring and early summer of 1948, those goals no longer appeared within reach. Massacres of Arab villagers and town residents by Israeli soldiers and paramilitary armed groups precipitated an exodus of more than 750,000 people from their homes and became refugees. They have been denied the right to return to their homes while Jewish immigrants keep flowing into Palestine. Israel destroyed 531 Palestinian villages and expropriated their land under the Absentees’ Property Law. The massive dislocation was the loss of a homeland and destruction of their community. 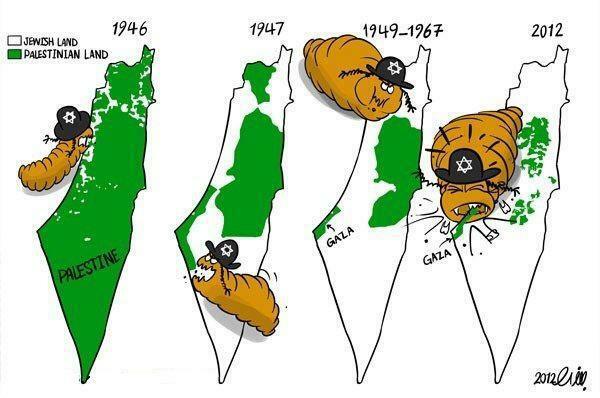 It was a catastrophe (al-Nakba)! The country was partitioned not by the UN blueprint, but by war. After al-Nakba, the West Bank was annexed to Jordan, refugee camps sprawled around Amman, Damascus, Beirut and Gaza Strip that was governed by Egyptian military, although it was cut off from Egypt. The vast majority of Gaza Strip residents have been refugees living in eight large camps but after generations of shared destinies and intermarriage, the distinction between refugees and natives has become less significant. Gazans were not allowed into Egypt except for some from upper-class indigenous and business people. Only Palestinians in Cairo were those with special permits, but permits to visit Egypt were hard to come by. Palestinians were explicitly prevented from working in Egypt ‘with or without pay.’ Gaza Strip was and still is more like a big jail; the only Gazans left the Strip were professionals who landed jobs in the Gulf States. Gaza became the center of Palestinian struggle. The Palestinians living in the crowded refugee camps can never recognize the cease-fire agreements between Israel and the Arab states. They strongly believe in their right to fight Israel until they return to their homes in Israel. There were two groups of Palestinian fighters in the Strip, the Palestine Liberation Army (PLA) regular uniformed fighters in their own units under Egyptian command and the non-uniformed fedayeen irregulars who specialized in crossing the cease-fire lines and mount raids inside Israel. The fedayeen included the future leaders of Fatah, Yasser Arafat, Khalil al-Wazir and Salah Khalaf. In the Anglo-French-Israeli 1956 war against Egypt, French and British troops secured the Suez Canal Zone and Israel occupied Gaza Strip and Sinai in the first few days. Israeli military combed the refugee camps in Gaza Strip for Palestinian fighters including regulars who fought in their own formations under Egyptian command and the fedayeen irregulars accused of infiltrating the border and carrying out sabotage operations inside Israel. Hundreds died in shoot-outs with the Israeli military and unknown numbers of Palestinian fedayeen were murdered in cold blood. More Palestinians from Gaza among the Egyptian POW’s were summarily executed by Israeli units in Sinai. In the end, Israel was evicted from Gaza and Sinai, and the British and the French withdrew from the Suez Canal Zone by orders from the US President Dwight Eisenhower to avoid confrontation with the Soviets. The PLO was created by the Egyptian President Jamal Abdel-Nasser in 1964 as an umbrella organization for the Palestinian resistance groups and to keep them under Egypt’s control. During the 1967 war, Israel expanded its control to include the West Bank, East Jerusalem, Gaza Strip, the Sinai Peninsula and the Syrian Golan Heights. The war was very short but conquering Gaza Strip was not an Israeli walkover. According to the Jerusalem correspondent of Sweden’s daily Dagens Nyheter, Nathan Shachar who was an eye-witness to the war, the Palestinian soldiers defending the Strip fought with great courage and tenacity. He described the battles for Khan Yunes and Rafah Cities as the bloodiest in the war. The Palestinian fighters were efficient against the Israeli Centurions and Pattons tanks even while they were cut off from reinforcement and they had no air support. Thousands of Palestinians sacrificed their lives in 1967 war. The failure of the Arab states to protect the Palestinians from the Israel led to losing faith in the Arab governments to liberate any of their lands. After 1967 war, Fatah under Yasser Arafat joined the PLO and eventually Arafat managed to replace Yahya Hammodi the chairman of the PLO and Fatah became the dominant faction. King Hussein of Jordan allowed members of the PLO organization to move in the Jordan River Valley. On March 21, 1968, Israel attacked Fatah military base near the Jordanian town of ‘Karamah’ with tanks and infantry. The Palestinian fighters supported by the Jordanian army artillery put up a stiff resistance in a bloody battle. The Israeli attackers retreated leaving behind four tanks and four armored vehicles. Israel lost 29 soldiers dead, the Palestinians suffered 97 killed and the Jordanians lost 129 dead. On a world-historical level, there is stark resemblance between the French conquest and colonization of Algiers in 1830 and Britain’s conquering and colonization of Palestine in 1920. Algeria was the first Arab country to be annexed by the West and a century later, Palestine was another Arab land offered to the Zionists by the European colonialists after defeating Turkey in World War I. Both the Palestinians and the Algerians revolted against the colonialists with relentless determination and sacrifices. The Front de Liberation Nationale (FLN) was formally established in 1954 and planned the insurrection. After years of bloody war that took the lives of 1.5 million Algerians, France and the FLN negotiated and signed the Evian Peace Accords on July 3, 1962; and the Algerians officially became an independent nation in control of their destiny after 132 years of French colonization. Sadly, unlike the Algerians, the Palestinians failed to fulfill their national aspirations. The striking differences between the Algerian-French agreement signed at Evian and the Palestinian-Israeli agreement (Oslo Accords) signed in Washington on September 13, 1993 explains in part the Palestinians’ failure. The negotiations between the FLN and the French de Gaulle government dragged on for months over the question of the Sahara. In de Gaulle’s view, the Sahara that had become strategically important with the discovery of oil belonged to France. But the FLN refused to give up even one inch of Algeria. The Oslo Accords negotiated by the Palestinian leadership on the other hand created the self-rule Palestinian Authority (PA) but did not address the right of self-determination for the Palestinians, or the establishment of a Palestinian state, or the removal of Israeli settlements, or the status of Jerusalem, or the return of the Palestinian refugees. After a century of struggle and sacrifices, the Palestinians today live under many sharply divided and distinct regimes; some live in disconnected Bantustans under Palestinian Authority (PA) with Israeli military and Jewish settlers in full control; others live In Gaza under siege and constant bombardment and air attacks; millions are refugees living in exile restricted by apartheid-style laws under Arab regimes; and thousands of Palestinian activists rot in Israeli jails. But the Prime Minister of the Palestinian Authority (PA) Salam Fayyad described the financial crisis of the PA as “the most immediate threat” to the Palestinians. Really? The Palestinians are victims of resourceful adversary, a cruel world order, and incompetent leaders. As a starter, the Palestinians certainly need to change course under new leadership. - Hasan Afif El-Hasan is a political analyst. His latest book, Is The Two-State Solution Already Dead? (Algora Publishing, New York), now available on Amazon.com and Barnes & Noble. He contributed this article to PalestineChronicle.com. O Allah let us understand about peace and humanity and helping people. Either in any part of the world and with any faith. A oppressor is inhuman and he cross all boundaries of humanity and start killing people and superior creature called human being. I cant define the pain and i have no word of explanation of the pain even the pain of bodies and killing. These oppressor sending these souls back and all other creatures and native looking with grief. With pain and understanding these souls are going to heaven but in this world its pain a very deep pain. I do not understand why they do not feel pain. Why they can not understand the feeling of pain when they start this oppression and killing and bloodshed of innocent in any part or region and to any faith or people or community. They are choosing nothing but a pain of eternity. Patience and understanding and repent to Creator and help them needy with any ways possible and raise voice with Faith with prayers as even all human do not respond there will be an ultimate help from Creator. Just pray and help those who intend to help the people under oppression of the same race or other race but they are making happy their devil/evil for things and world. We have to feel this pain unless that pain hit our body or our people near or far from us. Pain is pain and people are people and helping a needy one or helping a person with remedy of pain either with actions or with words is a way and a faith. Allah is seeing all and this all written and we are writer of our own fates. So write it well. and Allah bless you and all and let us all understand that we are one and one race with many faith, regions and colors. But belong to Humanity. the Department of Statistics at the Ministry of the Palestinian Prisoners’ Abdel Nasser Farawana said Tuesday. Farawana added in a report that those prisoners account for 35 percent of the total arrests in Palestine, which stood at 760,000 since 1967. The Israeli occupation authorities tried during the Palestinian Intifada to turn Gaza into a detention center for prisoners from the West Bank prisoners, Farawana said, adding that the Israeli forces deported individually or collectively about 225 citizens since 2002. “Around 470 Gazans are still in Israeli prisons and detention centers, while 27 prisoners were in prison before the Oslo agreement and the establishment of the Palestinian National Authority on the fourth of May 1994, the Palestinian official explained. I couldn't say it better! 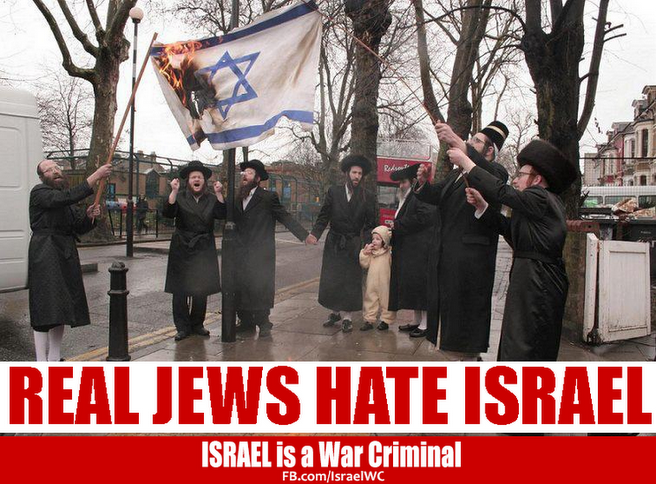 May God Almighty open the eyes of this world and let everyone stand up against this evil called Zionism! Peace from La Paz! How to Know If Allah is Pleased with You? Do you deny the signs of Allah (SWT)?